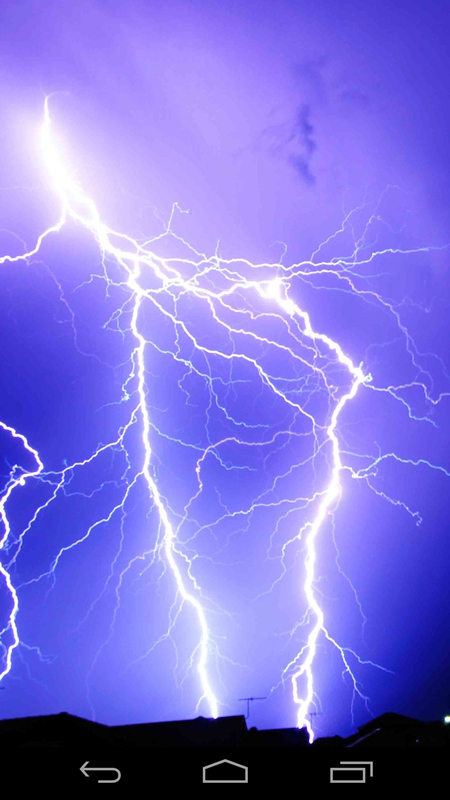 Let the “lightning strike” on your screen! 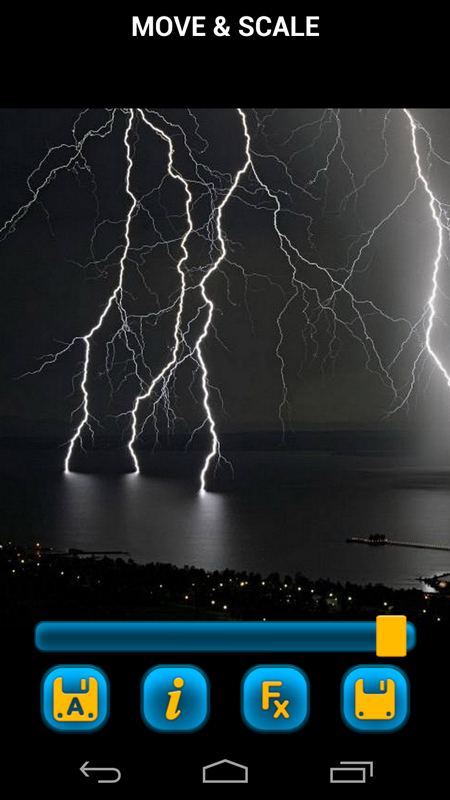 Select the most amazing lightning show for your phone! 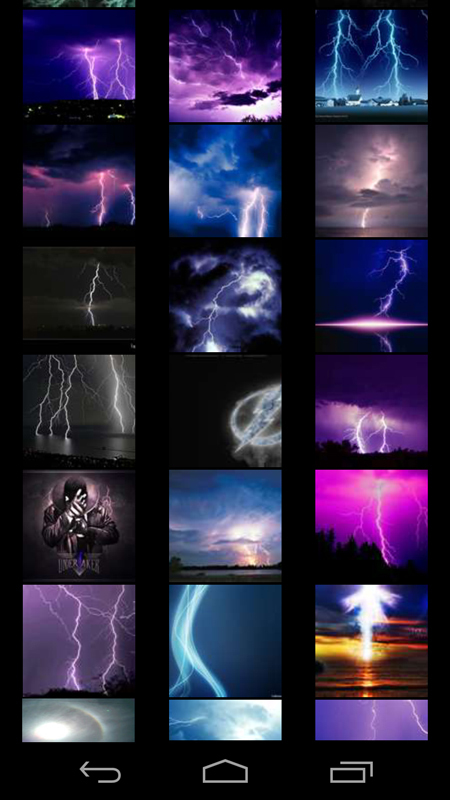 Enjoy various lightning lights! 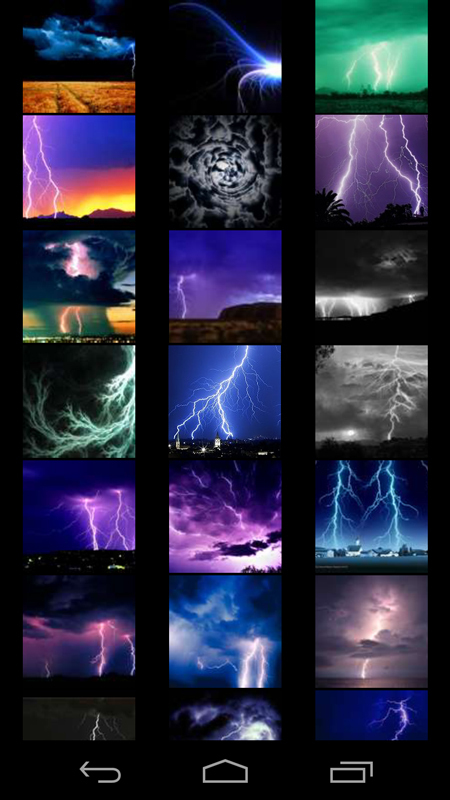 Keep changing your background by choosing it from the wide range of breathtaking Lightning Wallpapers. - Easy-to-browse interface enables you to find the desired wallpaper in no time! - Customize the wallpaper to fit your taste and screen! - Zoom, un-zoom, rotate, move, scale, adjust brightness, add various effects and save your background design! Have you ever looked to the sky during a storm and wondered what lightning is? 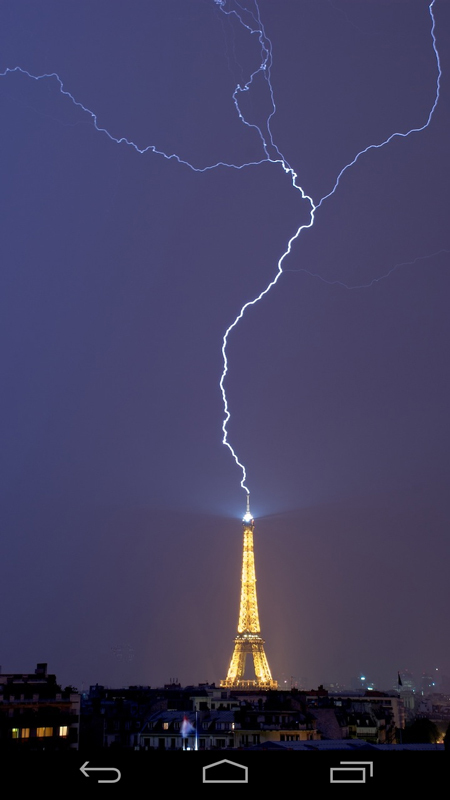 Well, it is an atmospheric discharge of electricity that is frequently accompanied by thunder when it occurs during a thunderstorm. It can occur during volcanic eruptions and dust storms. The front end of a bolt can travel 60,000 m/s and reach 30,000°C. It can have a positive or negative charge. It is overwhelmingly negative. An average bolt of negative charge carries a current 30,000 amperes (amps).